NOTE : Chicken cooks faster . 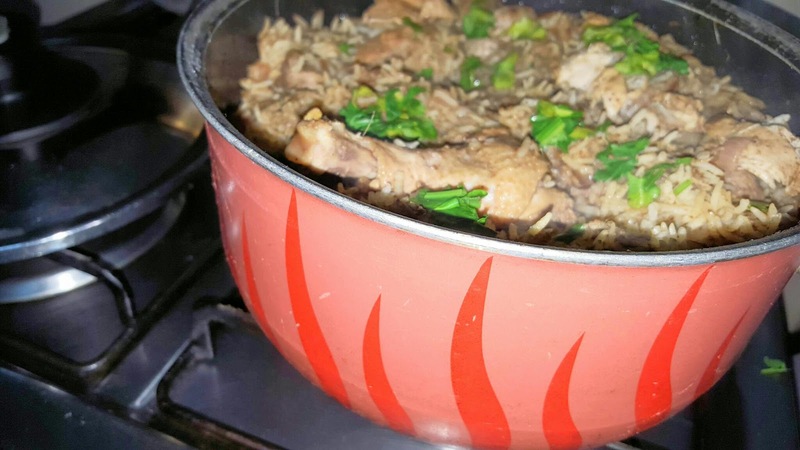 Cooking rice in chicken oil and stalk make them tasty and nutritious . 1. Marinade chicken for 2 hours with above ingredients . 2. Soak rice for an hour . This is very important step to make rice grain separated with each other . Drain and keep aside . 3. Start frying onions in hot oil in a big pot . 5. Let it leave chicken's natural oil . pour 2 cups of water and boil it . Put salt in this step enough to cook rice . 8. Close lid and cook for 30 minutes . 9. Turn off heat and let the it stay with closed lid . 10 . Garnish rice with coriander and mint leave serve .